TGIF!!!! Wishing ye all a very Happy Labor Day weekend, me hearties! 5. Without being able to write, I’ve been passing the time doing a lot of reading. I’ve read Erin Knightley’s RUINED BY A RAKE, HOW TO SELL FICTION ON KINDLE: MARKETING YOUR EBOOK IN AMAZON’S ECOSYSTEM, GIVING THE BIRD: THE INDIE AUTHOR’S GUIDE TO TWITTER, THE NAKED TRUTH ABOUT SELF-PUBLISHING, and Eloisa James‘ SEDUCED BY A PIRATE. 4. I’ve been plotting a novella series that I plan to write in the near future and worked a bit more on plotting a new Regency series I have in the works. 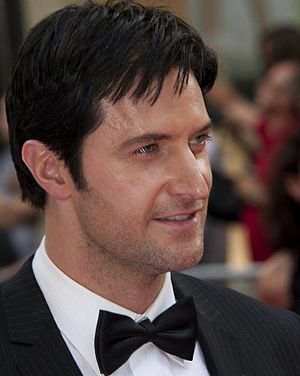 NORTH & SOUTH with Richard Armitage, and more. 2. Chatted with friends via Facebook and Twitter. 1. And the number one thing I’ve been doing? Walking and sleeping. Gah! Too much time sleeping. LOL!!! As I continue to get healthier and more active in my writing life, I wish each and every one of you, who work hard all year long, the best weekend yet! Take time to relax and enjoy yourself. Make use of the warmer weather where you live. Get out on the lake or enjoy the swimming pool. Bask in the outdoors. BBQ with friends! Keep your eyes on the prize, me hearties! That’s so true, Cora. Thanks for stopping by!